Hey Everyone, I got Engaged! When I applied to be a member of the Engaged Citizen Corps, I was not really sure what I was getting myself into. I had a general idea of what the program was about and how it was structured, but I had no idea what I would actually be doing when it came to both the classes and the internship. As I near my goal of 300 service/training hours with AmeriCorps, it is time for me to reflect on what I have done and what I have learned. My internship through the ECC is with Junior Achievement and it couldn’t be a better fit for me. Junior Achievement is, like every partner organization in the ECC, a non-profit. We focus on education and personal finance. Our main service is recruiting volunteers and sending them into classrooms to teach a curriculum about finances to the students. The grades taught can range from anywhere between kindergarten and 12th grade, though most classes fall in the K-4th range. We also have our JA Biztown and JA Finance Park capstone programs that take place at the Junior Achievement building. I personally work best when I get a mix of tasks to do, and that is exactly what I am getting at Junior Achievement. One week I will be cutting stacks of paper into smaller pieces of paper and be creating a Bowl-a-Thon highlight video the next. I have gone to conferences, trained volunteers, produced music, and so much more at Junior Achievement. I am allowed and expected to do a variety of tasks that range from monotonous to essential and I love that. Through working with Junior Achievement, I have learned so much about the Des Moines community. Because we work closely with businesses in the area and especially closely with the schools in the area, I have interacted with so many different people in so many different positions. I have been able to talk to local teachers and principals, students, CEOs, and everything in between. The networking opportunities are clearly not an issue. However, the main thing that I enjoy about being exposed to all these different kinds of people is that I get different perspectives on the community. I learn from the people directly what is going on in Des Moines and what they think of it. I also believe that nothing represents a community more than the schools in that community, so being able to not only interact with the students and teachers from those schools but actually go into some of them really makes me feel like I am a part of and making some kind of difference in the community. This idea of becoming a part of the community you are trying to help is very important to Robert Lupton in his book Toxic Charity. We read this book for our first-year seminar class that is part of the ECC curriculum. In the book, Lupton focuses on making clear the best ways to go about service work. Getting to know the people you are trying to help is a really big concept to him, and I think that I have gotten to know the Des Moines community through the ECC and Junior Achievement in a way that I would not have been able to do otherwise. I feel as though this city is my home now. I am not a guest of these beautiful people at this point and that really makes me happy to feel like I am working alongside these people to help them rather than doing it because I have to. All that being said, I am excited for the summer because Junior Achievement is actually keeping me as a summer intern once I am done with my ECC work. It was such a perfect fit for both me and the organization that it made sense for us both for me to continue working there. The work that I have done this school year for my organization has been fun (and it isn’t even over yet), and even the monotonous jobs I had to do sometimes were fine because I knew that I would be helping the community somehow, whether it was direct or indirect, no matter what I did. In the summer, however, I will be working more with students directly, so I will become even more familiar with the community. I learned so much through this program. I am now more conscious of the types of service work I do and the manner in which I do them. I perceive many issues (like homelessness or saving money) as ones that can actually be addressed and worked on. Not only that, but I am more confident in addressing and discussing these issues myself. Above all, I think that I am a more loving person because I see people in a more positive way than I did before. I really am glad that I applied for this program. 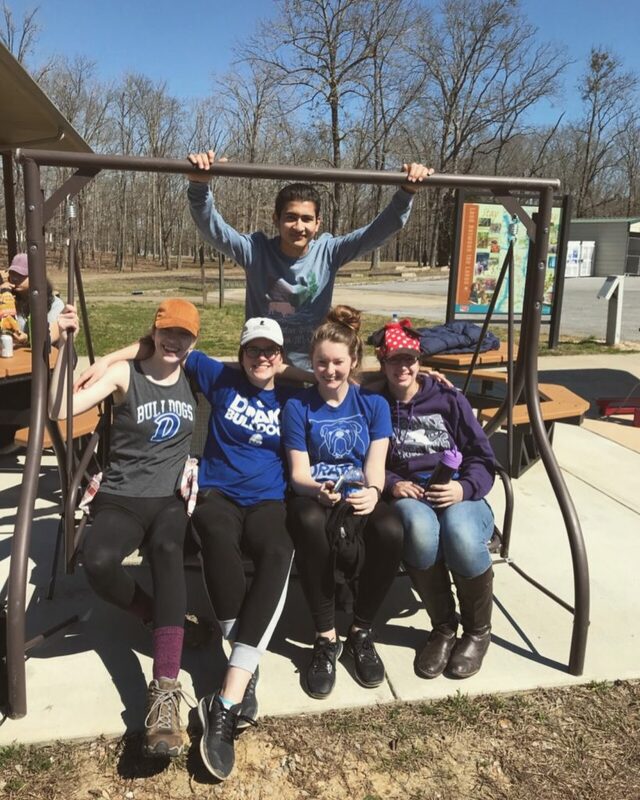 During the week, participants of the Alternative Spring Break trip, led by Service Learning Ambassador Bri Dressel, worked closely with the national recreational area in order to clean up trails and the land in general. Their work site was about an hour from their cabin, and they worked full days. The purpose of this trip was to challenge the traditional ideas of a college spring break; to challenge the ideas of binge-drinking, partying, and napping on beaches. 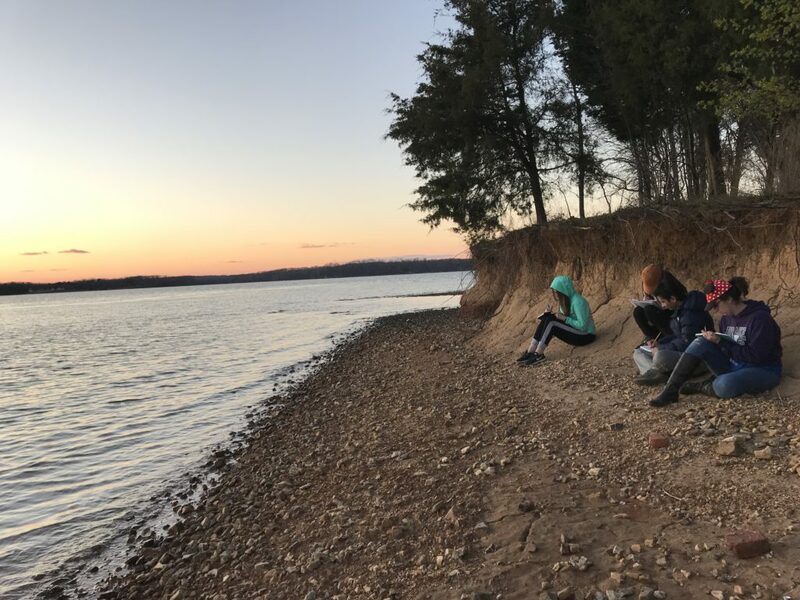 This trip allowed participants to take part in something bigger than themselves, and in doing so, they were able to positively impact Land Between the Lakes. Participants worked with the “triangle of quality service” in mind: direct service, education, and reflection. The direct service came into play through their work with the organization. It was very hands on, and, well, direct. The education came into play when participants learned about how the work they were doing impacted the organization and the community. When asked about the biggest take-away, many participants said they will be more conscious about their impact on nature and society, and how waste and trash affect the environment. This trip allowed them to learn in ways that are hard to replicate in a classroom setting. Finally, the reflection aspect came into play on a daily basis. Participants were asked every day to reflect on the work they had done thus far. This happened in a variety of ways, including journaling, photo-reflection, surveys, and sculpting how they felt with Play-Doh. Through these reflections, participants became fully aware of the service they were doing and why it is important. It wasn’t all work and no play, though! 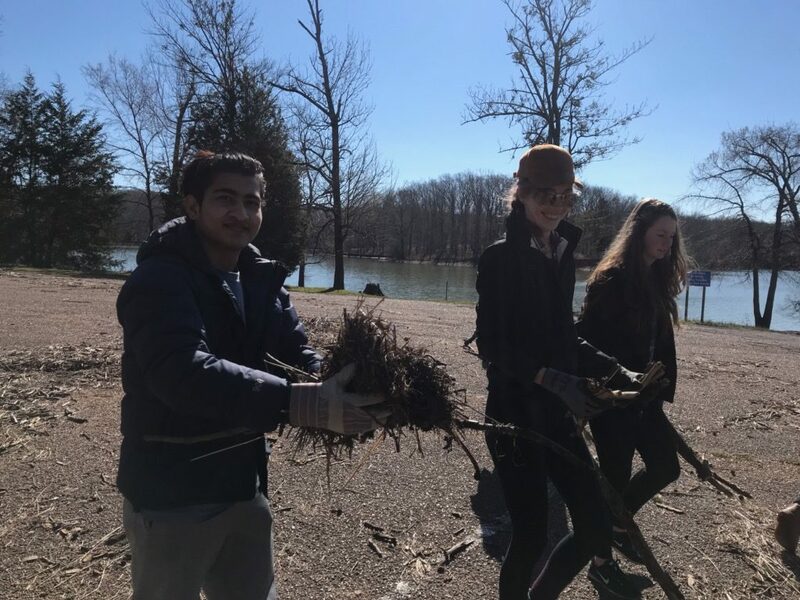 Participants were able to take a day-trip to Nashville, Tennessee, where they were free to shop, get a tattoo, eat at local restaurants, and take a break from all of their hard work. This was a favorite for many of the participants, and is a gentle reminder to take some time to enjoy yourself. The food was pretty great, too. There was a set budget the accompanying faulty members were allowed to spend, and they maximized their food amount! There were no stoves at the campground, which started out as a potential problem, but quickly turned into a fun experience! The faculty members were in charge of cooking, which was done over an open flame, and were able to create delicious, almost gourmet meals for the students and themselves. Did you know, if you are in a pinch for money and need to eat, just buy V8 vegetable juice and veggies, cook them together on the stove, and viola! You have a yummy vegetable soup! 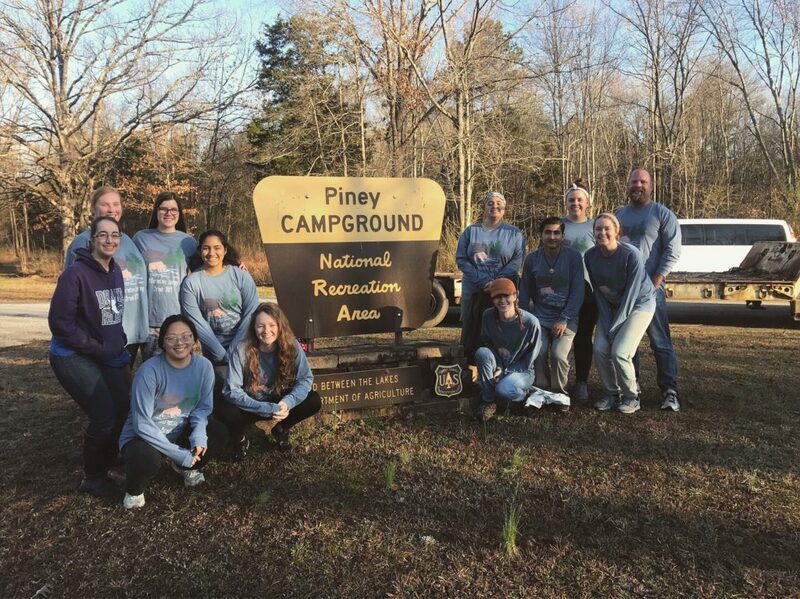 Overall, participants agree they had a meaningful service experience on this year’s Alternative Spring Break trip. We can’t wait to see what next year brings! Hello, my name is Ashly Frazier and I am a first year Environmental Science major attending Drake University. This year I have had a wide range of opportunities in which I have been able to take part. One in particular unlocked my mind in a way that none of my previous experiences ever had; becoming a member of the Engaged Citizens Corps. Those involved are being armed with knowledge and understanding in order to combat social injustices. Each member of this cohort was partnered with a nonprofit in the Des Moines, community. I was united with Anawim Housing, which helps low-income members of the community and those currently experiencing homelessness obtain affordable housing. On my first day at Anawim, I was nervous out of my mind; I didn’t think I was going to establish a meaningful connection with my coworkers or those we served. I now realized how irrational this fear was. This fear disappeared when I met Full Circle. This is a peer mentorship group for tenants who have experienced homelessness that congregates at Anawim every Friday to share a meal and discuss various topics. Frequently there are visitors who discuss various things such as job training or art therapy. Sometimes other nonprofits will visit and talk about some of the services they can provide. On this particular Friday, I was able to experience my first Full Circle discussion. Gathered in a circle under dimmed lights the leader read a poem about home. After, we were asked what home meant to us and how we defined home. The talking stick slowly made its way around the circle. Each person was given the option to voice their thoughts or to internally ponder the question as they listened to others. Here I was, sitting in a ring with those who had at some point lost what they defined as home. I thought that, because I hadn’t, I wouldn’t be able to relate and that anything I said would detract from the deep meaningful discussion and reflection occurring before me. I have never experienced homelessness, but I was raised by a single mother, and monetary funds were in short supply. Due to my parents’ separation, I grew up always having a bag packed with enough clothes for a few days, always moving back and forth between two places. This continued until I was presented with a scholarship to attend a boarding school. I spent my last three years of high school there and by attending Drake, I am now entirely in a different state. I describe this situation and explained how my constant movement away caused me to limit the roots I planted at a place, and that I wasn’t sure exactly what home was to me in terms of a physical structure. I quickly gave up the speaking stick after I said all of this in a few rushed words. The person who received the stick next opened up herself and her heart to our group. She talked about how home is more than just a structure. Home is the feeling you get by being in a place or with someone who makes you feel comfortable to be your true self. My down casted eyes met their warm brown eyes and the doubt I felt dissolved in an instant. I realized that while I may not have had the same experiences as those around me, there were similarities at the core of our stories. I understood how it felt to feel displaced and unable to establish myself in a space. As the conversation continued, I learned more about myself and Anawim’s cause. A home can change everything, but first you must determine what a home is for you. Is it the people around you? Is it the place where you grew up? Is it where you currently live? Now think if you were experiencing homelessness and you were told there was an opportunity for you to get housing, but you weren’t ready to have a home. You would probably be taken aback, confused, and/or even upset. This is something Anawim strongly disagrees with. They believe housing is a right. It is for this reason that they follow the Housing First model. Housing First is the theory and practice that recognizes a person doesn’t have to be “housing ready” before they obtain housing. Utilizing this method, people referred to Anawim programs coming from homelessness are not required to be sober, have a job, good credit, no evictions on their record, or in any other way ready for housing. Housing is a basic human need. Without a safe, stable home, a person cannot begin to address their issues. However, once a person has a permanent roof over their head, an address to receive mail, a safe and stable place to keep their belongings, and to feel safe when they sleep, they will be much more equipped and likely to address their issues and needs. They will be able to focus on improving themselves and thriving, rather than just surviving. Anawim values the dignity and autonomy of their program participants. One way this is shown is with harm reduction practices. For instance, if a tenant is addicted to a substance, the case manager will not force them to receive treatment for their addiction. Instead, the case manager will encourage the person to seek help, and provide them with information and resources, but also discuss steps they can take to increase their safety until they are ready to address their addiction. Ultimately, they recognize and respect that getting help is the tenant’s choice. While some may say that doing this only encourages the negative habit, I would argue that taking away someone’s choice in a matter eventually leads to resentment and relapse. Choice for one’s self is more powerful and meaningful than being shackled by another’s decisions. Eventually the goal is that the subtle and non-invasive persuasion of the case manager and the tenant’s own opinions align to a path of recovery. These concepts and ideas of home and who receives the opportunity to have a home are why I appreciate the work Anawim Housing is doing and I am honored to help further these efforts. This organization has taught me to advocate for change in a way that is meaningful, while maintaining autonomy and dignity of those we serve; two things often trampled in the crusade. Every person deserves a home. With every discussion on this issue, we are taking one more step along the long road to prevent, remedy, and one day abolish homelessness. The question is, will you march with us? 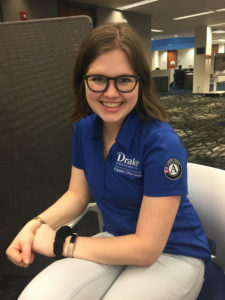 My name is Kaylee and I am a first-year student at Drake University. When looking at colleges, one of the reasons Drake stuck out to me is because of their Engaged Citizens Corps, or the ECC, a scholarship program that accepts ten first year students. Each of the students are assigned to a non-profit organization to intern at. My organization is the Girl Scouts of Greater Iowa. They have impacted me in ways that I never expected. 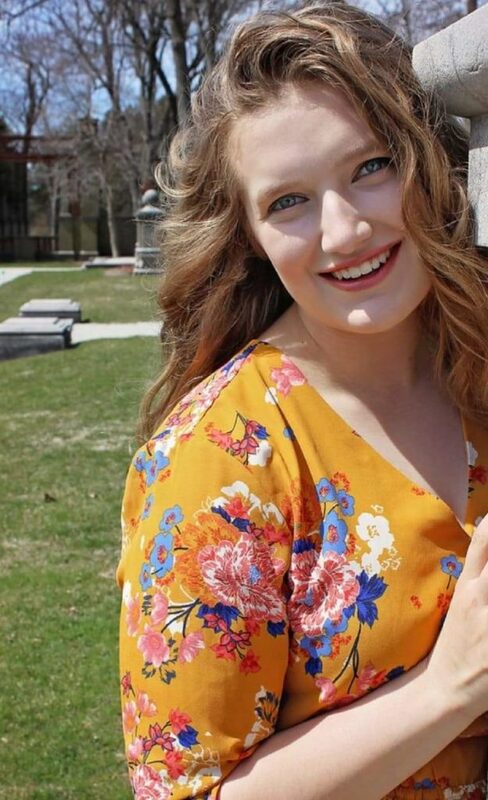 I have done a complete 180 in my major, switching from Public Relations to Elementary Education, and I have learned more about developing programs than I ever thought I would need to know. Girl Scouts of Greater Iowa, or GSGI, is based in Des Moines, Iowa and in Sioux City, Iowa. I work in the Des Moines office. One of my favorite parts of working with GSGI is staff-led troop meetings. I have had the opportunity to work with four troops over the course of the last semester and a half, and each one teaches me more than the one before. What I have learned most from my experience in the Engaged Citizens Corps is that I have a passion for teaching. Through Girl Scouts I have been able to develop lessons and put them to action in troop meetings. This is part of what inspired me to pursue Education over Public Relations, But, my own internship site has not been the only influence on my major change. Part of our scholarship requirements is that we must volunteer at another ECC members site. One of my classmates is interning at Junior Achievement and needed to recruit volunteers to teach a 5-lesson program in a classroom. 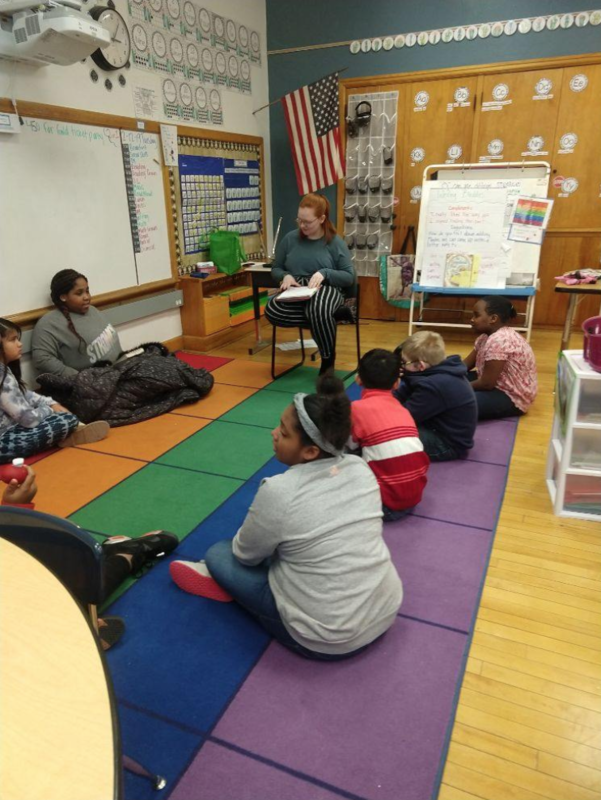 I volunteered to take a program for first graders, and I was a little nervous because I had never had to teach a lesson by myself. But, working with the students I learned that it wasn’t just something I could do, it was something I enjoyed. This completely changed my outlook on my career and showed me that I still had room to grow and learn. The Engaged Citizens Corps has provided me with an incredible amount of opportunities. Through Girl Scouts I had been able to attend day trips to the Iowa capitol building with the girls. I also was fortunate enough to attend the Governors Luncheon for Girl Scouts and Boy Scouts. This is the only event that the Iowa Councils do together and one of the only events that the organizations do together all across the country. Experiencing this was incredible, especially in a time where tensions between Girl Scouts and Boy Scouts are fairly high. Since Boy Scouts announced they would be accepting girls there has been an undeniable tension between the two organizations. However, in this event they came together to discuss all of the positive effects that scouting has on Iowa. It was amazing to experience alongside my coworkers. I can’t express how grateful I am to have been accepted into the program. There are not enough words to describe how positively it has shaped my first year in college. Some of my closest friends have even been found through the program. I am so thankful that I had the opportunity to work alongside the Girl Scouts of Greater Iowa and Drake University. If given the opportunity to go back and do my first year again, I would absolutely participate in this program again. Hello! My name is Amber Guzzo and I am a first-year student in the Engaged Citizen Corps. Along with about every other student here at Drake, my schedule is packed from morning to night taking classes I love and partaking in activities I’m passionate about. 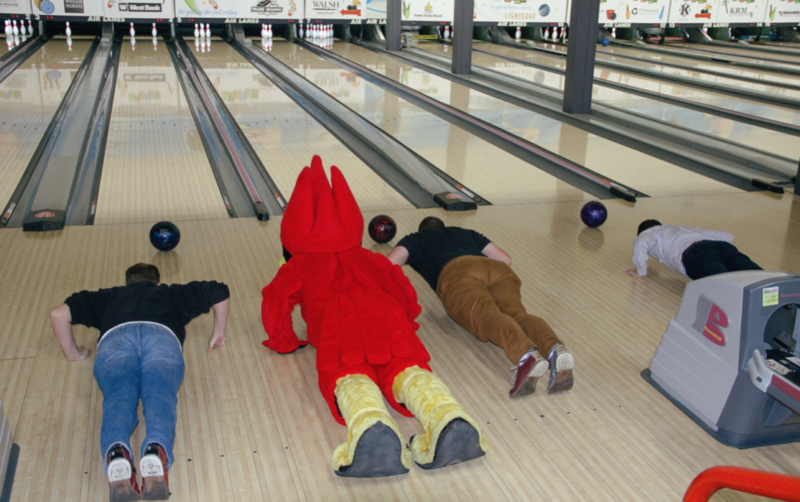 Every week is a little different here on campus and therefore I am never bored. I am so glad I made the decision to come to Drake and to be a member in the Engaged Citizen Corps. However, if you were to flashback to a year ago, I did not have the same amount of enthusiasm about coming to Drake, or for any school for that matter. I had applied to nine great schools, and I was stuck trying to decide the perfect fit for me. That was when I started doing research on all of the schools I had gotten into., and trying to narrow down what would be the right fit for me. I was very intrigued when I stumbled across the Engaged Citizen Corps program here at Drake. I have to admit, as cool as the program sounded, I was also nervous of the time commitment. In the end, I ended up applying with only a few hours left before the due date, and looking back, I am so glad I made the decision to do so. After I had been accepted into the program, it was definitely one of the main factors that drew me to Drake. The fact that I was able to land an internship with a nonprofit my first year, and have the opportunity to explore Des Moines was such an amazing opportunity. I have grown so much personally this year, and I am so thankful for this program for helping with that growth. Not only that, but I also met some of the most genuine and kind people. I will walk away with some of my closest friends here at Drake. Civic Action Academy – Schools from all across Iowa and Minnesota came to Drake to learn how to be better civic leaders and it was a great learning opportunity. Poverty simulation – One of my favorite experiences from my first semester. It was such an eye-opening experience of what it is like to deal with poverty. Bridging the Gap – This was an awesome experience where we as a group went to a town meeting to discuss better ways the City of Des Moines could build relations among different groups. Now one of the most important parts of the Engaged Citizen Corps is my internship! I am so blessed to be placed at such a wonderful internship. 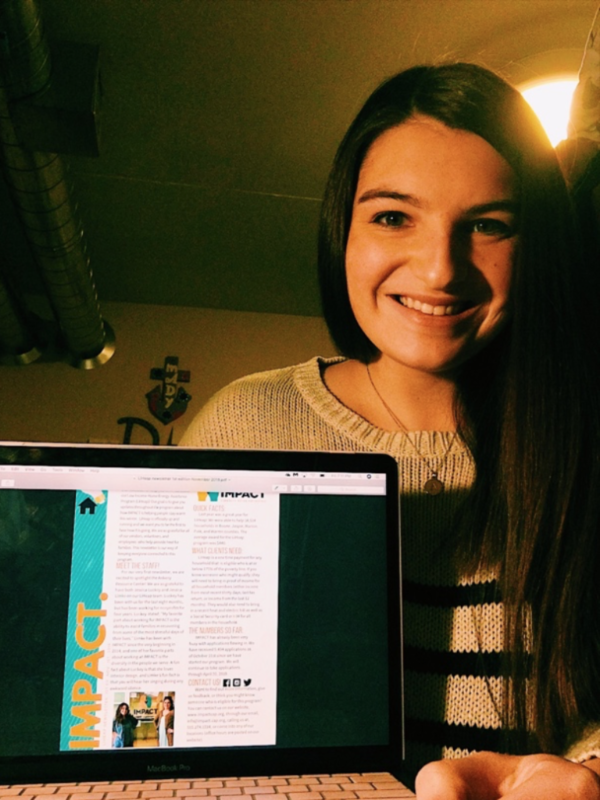 I intern at IMPACT Community Partnership in Des Moines. The staff there has been extremely welcoming and kind, and I have enjoyed working there so much. At IMPACT, we run a very busy food pantry, provide emergency services, disaster relief, and run the Low Income Home Energy Assistance Program (LiHeap) program for our region. LiHeap is a program to help families in the winter keep their heating bills down and their heat on during the winter. We work with local vendors to make sure if they are behind on a payment, that they still are able to use their heat until it is warm enough. We also provide a credit to their account, so their bills are more affordable. Weatherizing homes is another service we provide to a select amount of homes in need every year. I have done a various number of tasks at IMPACT, but my biggest project is the newsletter that I put together every month. We send out this newsletter to local vendors we work with along with other local nonprofits to raise awareness about the programs we provide. I have loved creating our newsletter because I have been able to work on my marketing skills, while also learning about our various programs and learning more about our staff. This semester I will be working on a housing task force that our nonprofit has put together to work on housing issues in the Des Moines area. My name is Taylor Bahr, and I am one of 10 members of Drake’s Engaged Citizen Corps (ECC) program. 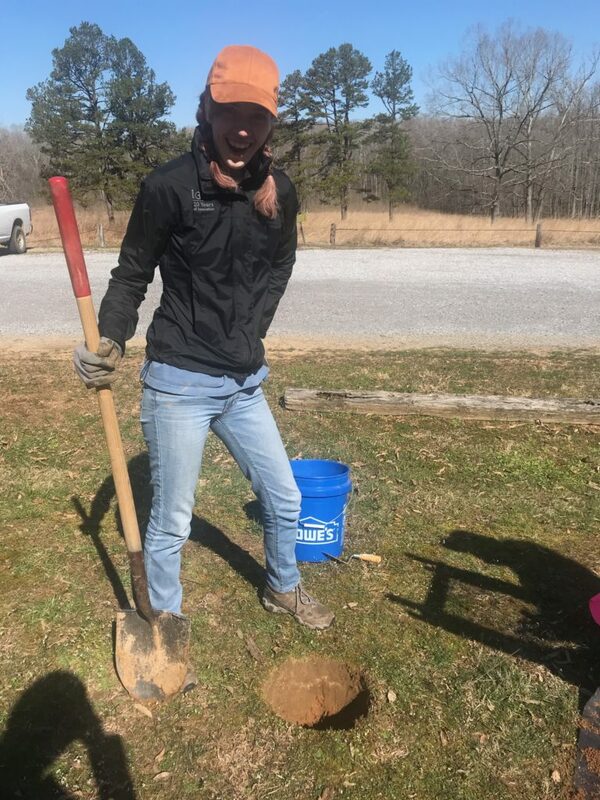 Through the Engaged Citizen Corps I’ve had the opportunity to participate in service-learning related coursework as well as partner with ISU Extension and Outreach in the Polk County 4-H department for an internship as a first-year student! Through this program, I’ve developed a passion for healthy charity and have become a leader within and outside of the Drake community. Polk County 4-H is part of the state of Iowa’s 4-H program whose mission is to “empower youth to reach their full potential through youth-adult partnerships and researched-based experiences” (Polk County 4-H). The 4-H program hopes to further student’s skills in areas such as leadership and communication through several delivery modes including camps, clubs, and after-school programs. Throughout my time spent at Polk County 4-H this past semester, I’ve specifically been able to research and develop new lessons for the after-school program. At first this skill was very foreign to me, but I quickly learned how to design a program that would excite students as well align with the 4-H mission and program priority areas. 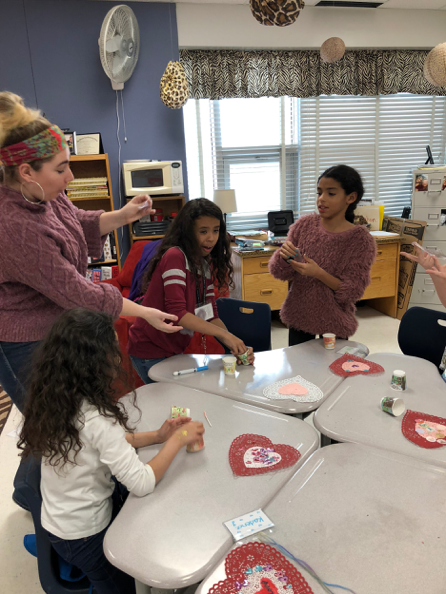 With Polk County 4-H I have also had the incredible opportunity to work directly with students on a weekly basis at an elementary school close to campus. Here, I work closely with around 20 students in two different 4-H clubs: Monroe 4-H and Monroe Cloverkids. 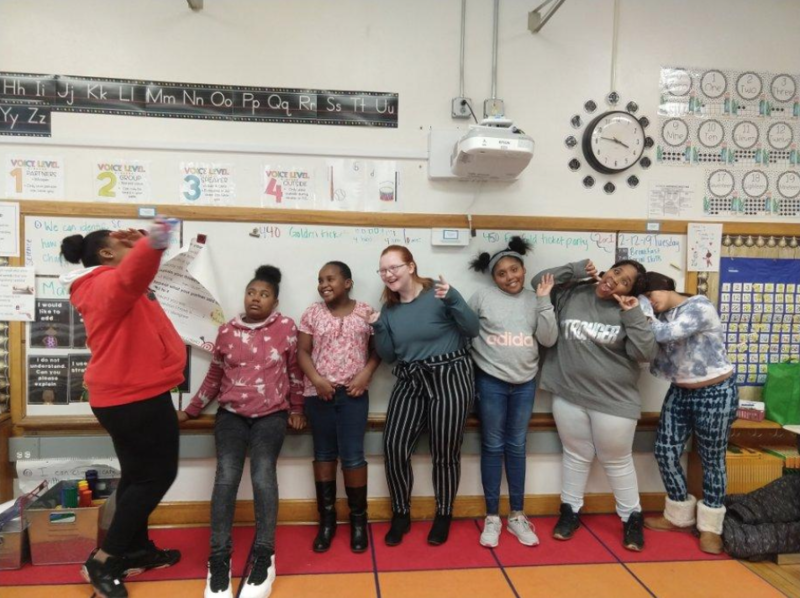 These groups are divided by age, and each week I partner with the after-school program and lead different lessons focused around a variety of overarching themes, including STEM, Healthy Living, Communication & the Arts, and Leadership & Civic Engagement. This is when many of the lessons I design become useful to me. While some weeks I use pre-written programs, I often create new programs based upon student’s interests. 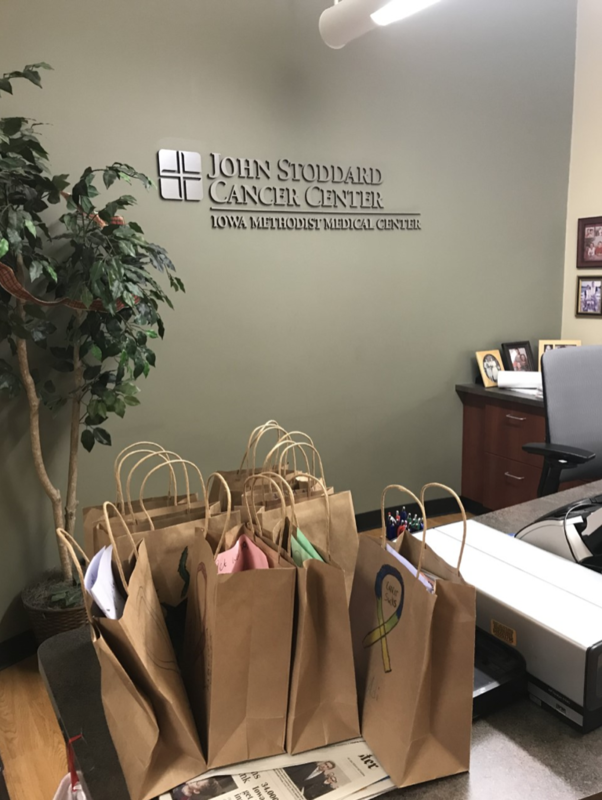 One of my favorite programs that I have done with the students thus far is creating chemo bags for patients at John Stoddard Cancer Center, a local Des Moines treatment center. Drawing on many of the concepts I’d learned in class about toxic charity, the Monroe 4-H club was able to give back to their community by also learning about the importance of kindness and giving back in their lives and others around them. By contacting John Stoddard to gain an understanding of their needs and directing that information into the creation of the program I was able to benefit both the 4-H club and those who received our chemo bags. However, my role within Polk County 4-H isn’t confined to just this after-school program. With the help of my site supervisor, and lots of research, I’m currently in the process of creating a Drake Collegiate 4-H Club. This experience has been very exciting to me as I’ve gotten to connect with students on campus who are 4-H alums. This project also offers me the opportunity to make a lasting impact not only within Polk County 4-H, but also within the Drake community. When I applied to the Engaged Citizen Corps program, got accepted into the program, and even up until I went to my internship site for the first time, I never had a full understanding of the program as a whole. While I knew I’d be focusing my time around the idea of service, I didn’t know I’d get placed in a site where I get the privilege to get to know 20 students on a weekly basis. While I knew that I’d be taking an FYS (First-year seminar) about Toxic Charity, I didn’t know that it would create a passion within myself. I didn’t know that a short semester later I would look at charitable giving, poverty, and the world in general in such a different way. While I knew that I would spend a great amount of time with fellow ECC members, I didn’t know they would become some of my closest friends on campus. 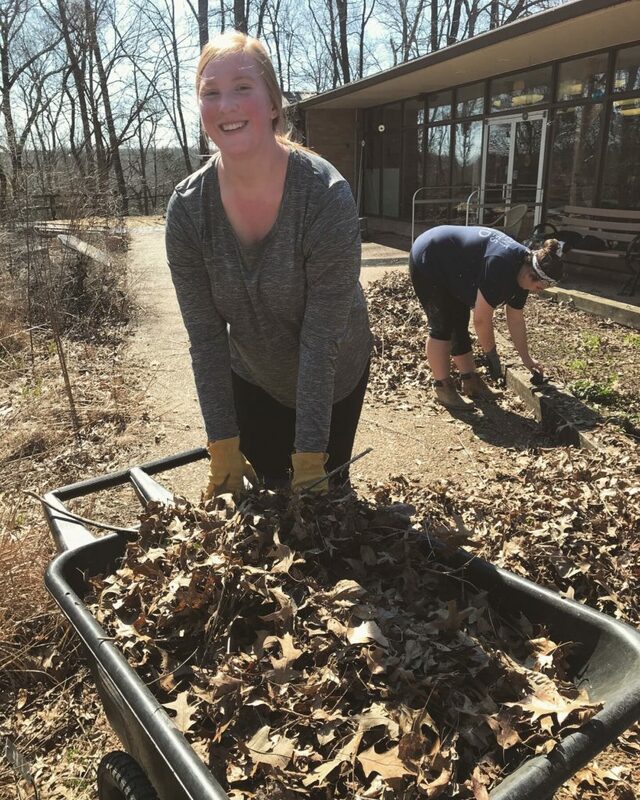 While I knew that the Engaged Citizen Corps program was a great opportunity as a first-year student, I didn’t know that it would bring me closer to my campus, closer to the Drake Neighborhood, and create opportunities to develop myself as a person and student leader. As I look back upon my experiences in the ECC program thus far, I’ve come to realize that this program hasn’t just taught me; it’s shaped me into a better person. Being cognizant of the community around me and striving to educate others on issues pertaining to charity and poverty is something I will continue to build upon past just this year. Knowing that my experience is only a little over halfway through, I’m excited to see where my Engaged Citizen Corps experience continues to take me. The organization I am working for is HOME, Inc., or Home Opportunities Made Easy Incorporated. 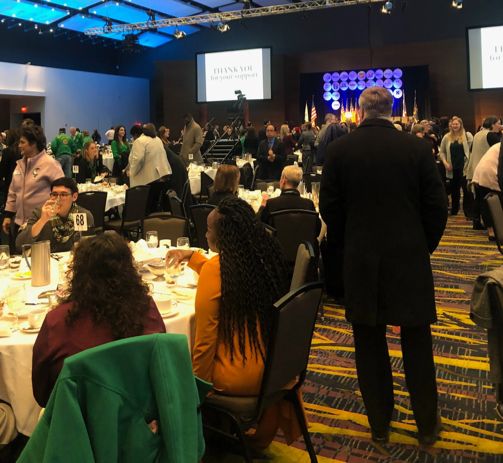 HOME, Inc. is focused around three main topics: revitalizing Des Moines neighborhoods, creating opportunities for quality affordable housing, and retaining housing through education and counseling. All in all, they help make sure people have homes, and are able to stay in them. One of my jobs at HOME, Inc. is to create content for social media accounts. As a novice graphic designer, it is thrilling to be able to create posts and see how they look on Facebook. I created an Instagram page to attract a younger population to our resources and make sure we are consistently posting on social media. Coming this Spring, we are revamping the 15-year-old website. My job is to look through the data and make sure that all the information can be found online in a simple and effective way. The saying of being an intern can be true when it comes to my job once in awhile. No, I have not gone on any coffee runs yet, but I have spent a good amount of time with the copier. I find myself creating a lot of packets for our RentWise program- a series of classes for the community to learn how to be a responsible and wise renter- and building folders full of information for our new homeowners. As a part of my job, I get to spread the message of our mission: revitalizing, creating opportunities, educating, and counseling, and that is amazing. I have learned so much about landlord and tenant rights and responsibilities, something I would have not thought about. I have been able to rewrite brochures that help people know their legal rights through the Housing and Urban Development (HUD), which has been an experience that has opened my eyes to struggles that people face. A fun part of the job I was able to experience was attending a task force meeting. A variety of representatives from different nonprofits in Des Moines came together to tackle the problems released prisoners face when they re-enter society. There are multiple difficulties former convicts face, mainly employment, education, and housing. After listening to many professionals speak, I gained the sense of how vital and important housing is. Through this meeting and the work I have done at HOME, Inc. I have learned that housing is vital to a successful life. Without housing what does one have? This is a question that continues to bounce around my head as I take my law classes, and when I took an ECC course talking about dignity. The entire Engaged Citizen Corps program has been a blast. I would say life-changing, inspirational, eye-opening, or motivating, but they sound too cheesy. I’d say if you could google positive adjectives, every single one would be a word I would describe ECC. What I learned in my First Year Seminar (FYS) class was the definition of service-learning. Not just the google definition, because you don’t need a class to learn that. But the concept and real-life practice of service-learning. As a class, we would read a chapter of a book, discuss it, practice it, and then reflect on it. That, that long process is what I call service-learning. I find it so fascinating that I can go through that process to not only help others, but to make myself a better person. Because of this program I am a better person. And it is not just because I am now an expert copy maker, or that I accumulated 130 followers on the HOME, Inc. Instagram. But, it is because I understand what service-learning is, how to treat people with dignity, how important housing is, and how to think on both sides of an issue. P.S. I would not be doing my job right if I did not publicize HOME, Inc. (Facebook and Instagram @homeincdsm)! Chinatsu Sazawa is an Associate Professor of Japanese at Drake University and enjoys using service as a way to bridge American and Japanese cultures. 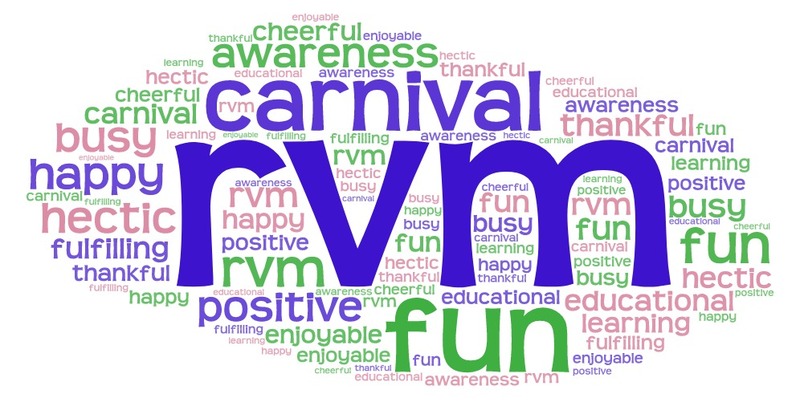 Creating a carnival for the students of Ruby Van Meter with the help of the Office of Community Engaged Learning. 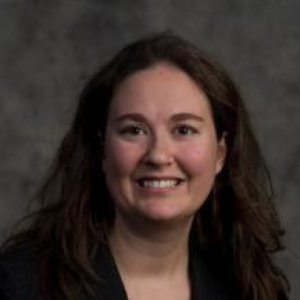 Dr. Anisa Fornoff is an Associate Professor of Pharmacy at Drake University. She is also a faculty fellow with the Office of Community Engaged Learning & Service, and enjoys working with people in the Des Moines area with disabilities.